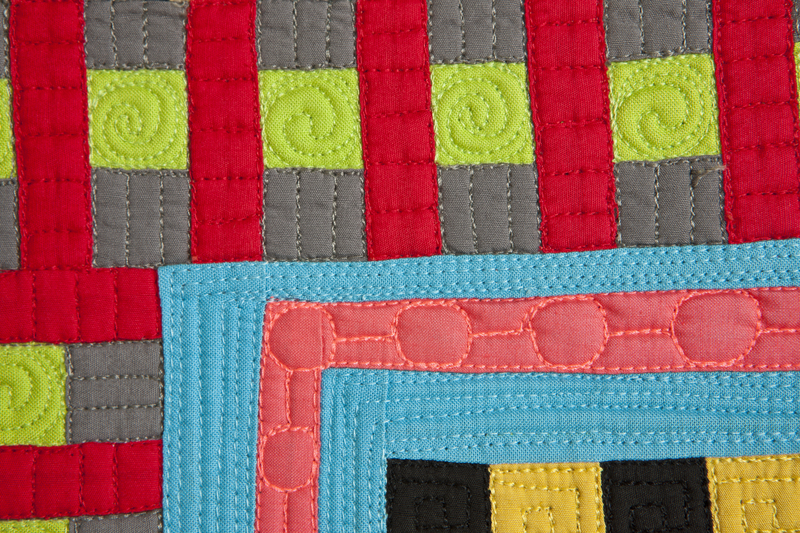 The Color Grid quilts I have been making originally started out as an exploration of a simple block, very similar to the nine patch. 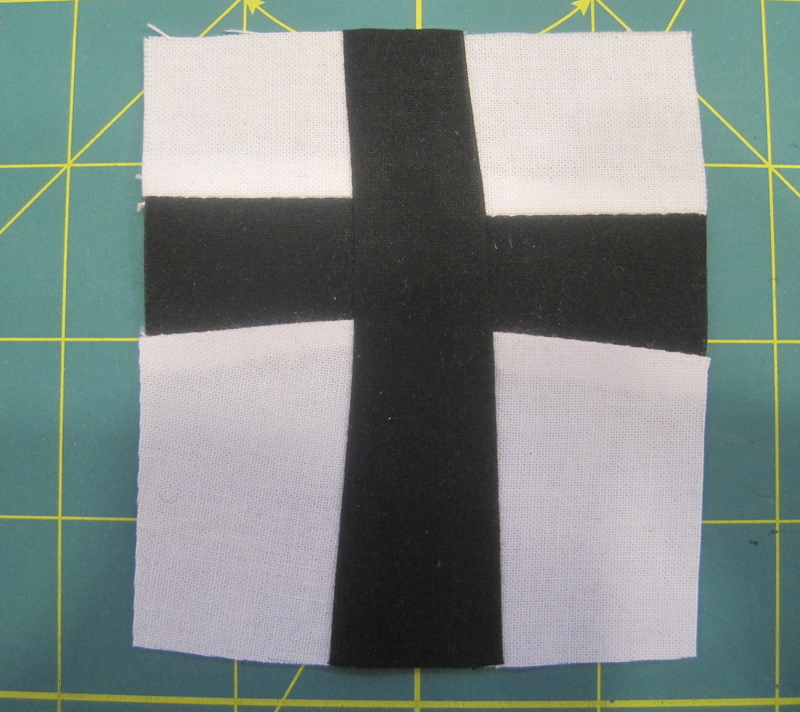 I started this work in Nancy Crow’s class Sets and Variables III. 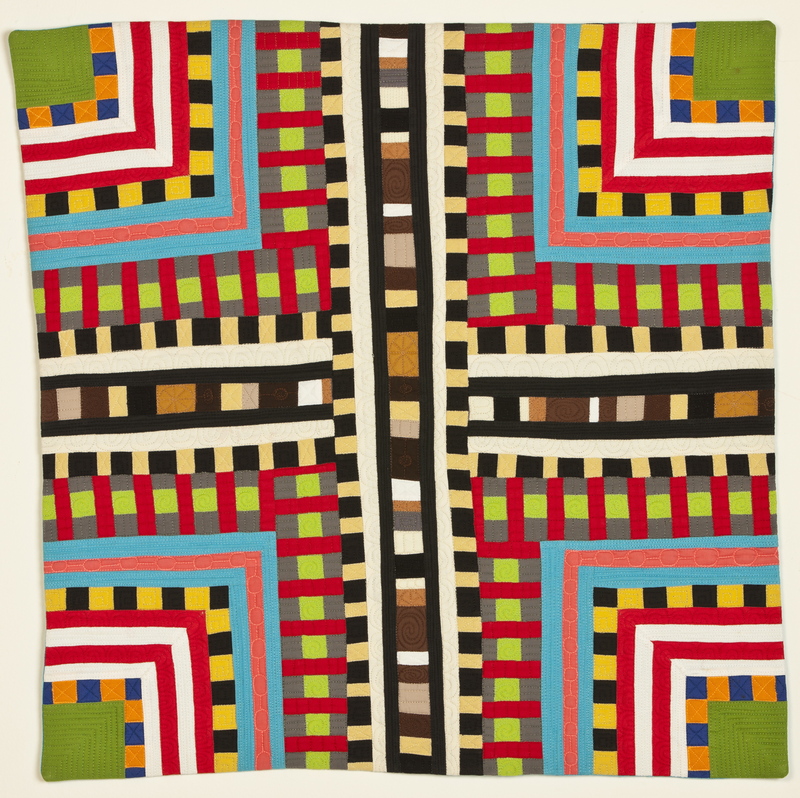 Way to Grace’s is inspired by this original quilt block. 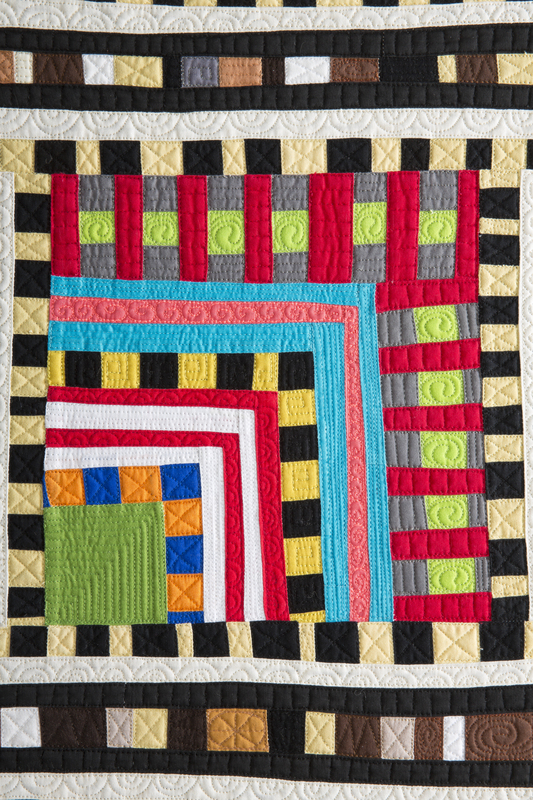 Eventually, I realized that if I multiplied the block out much like you do in a traditional straight set quilt, you get really interesting results. 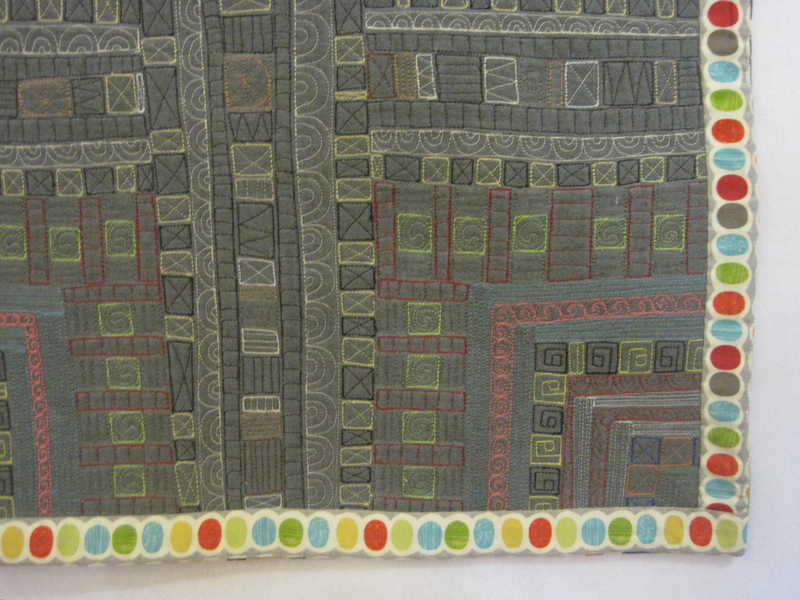 The “block” becomes bigger and the sashing gloms onto the block to create interesting figure ground relationships. Day and Night were two early sketches. 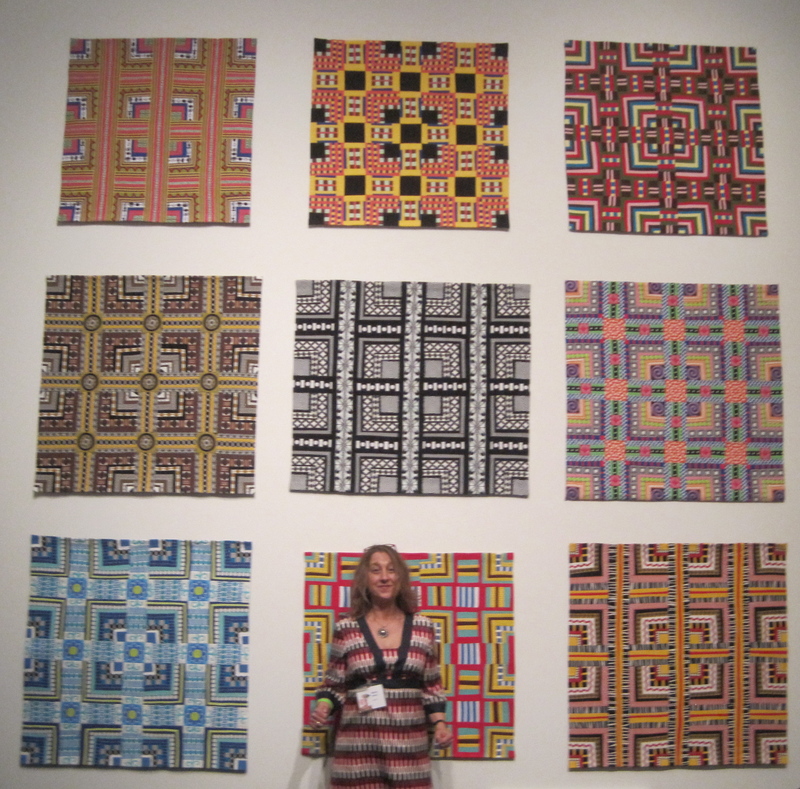 Here are nine Color Grids at the Bellevue Arts Museum in the fall of 2012. That’s me in front of them just to give you an idea of how big that wall was. In order for these grids of Color Grids to be a grid of grid, they must be very close to the same size. Most of my Color Grids are 38″ x 38″ so that they read nicely together. 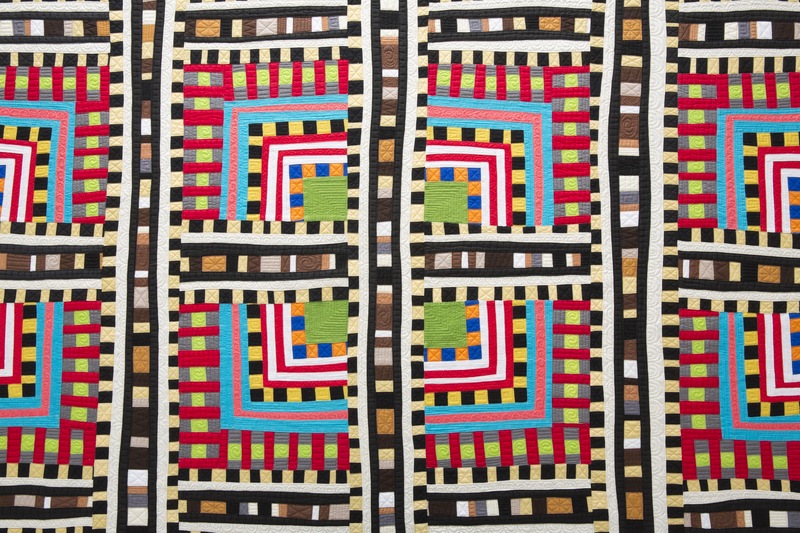 TRIBE is 50″ x 50″ which is significantly bigger than the other quilts, so I set it aside for a very long time. 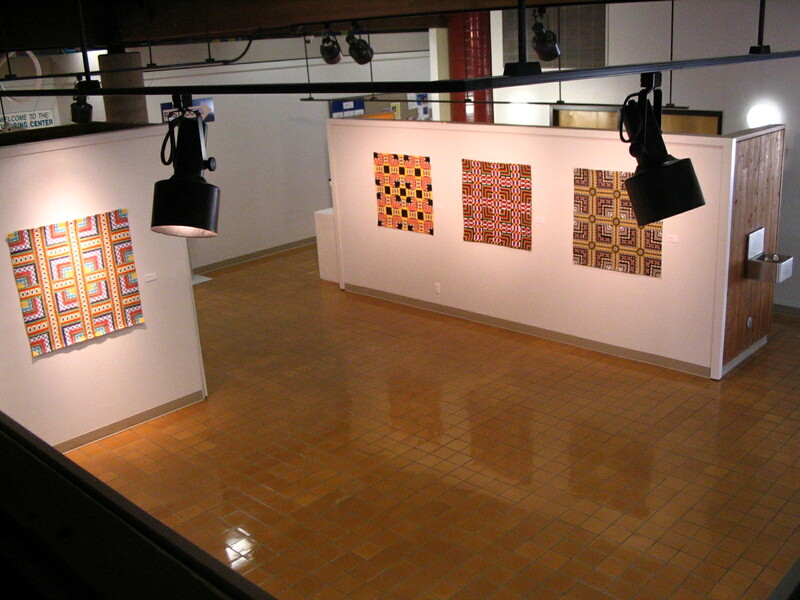 Then I had a show at the Wiseman Gallery, were size did not matter. 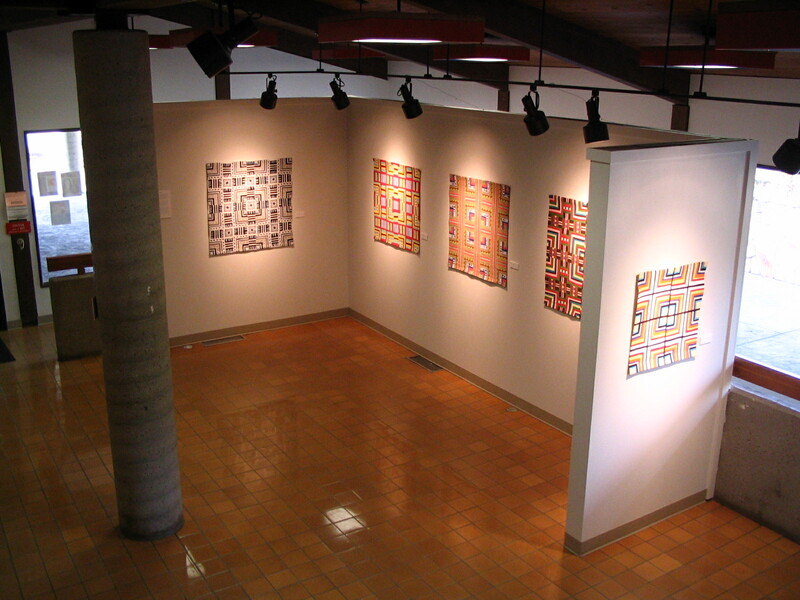 They hung the Color Grids around the gallery using the same sight line for all the pieces. 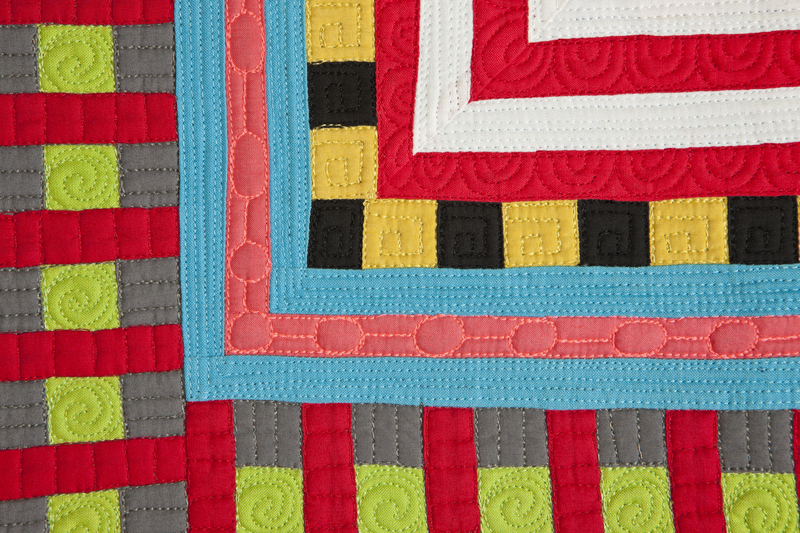 As with all of my quilts, I spend a significant amount of time quilting them. I love how the backs become their thread statements. 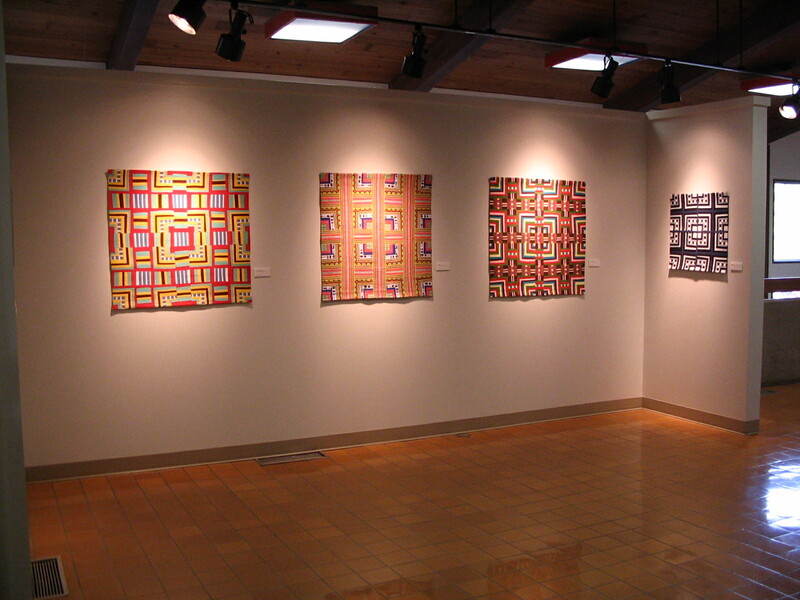 Yesterday, I got several quilts back from the photographer. 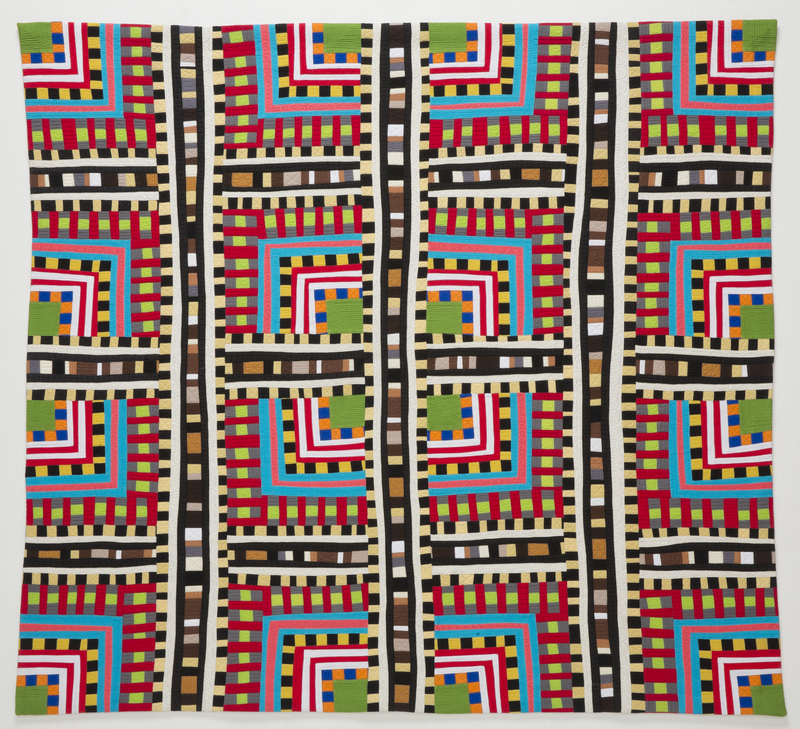 TRIBE was one of those quilts. 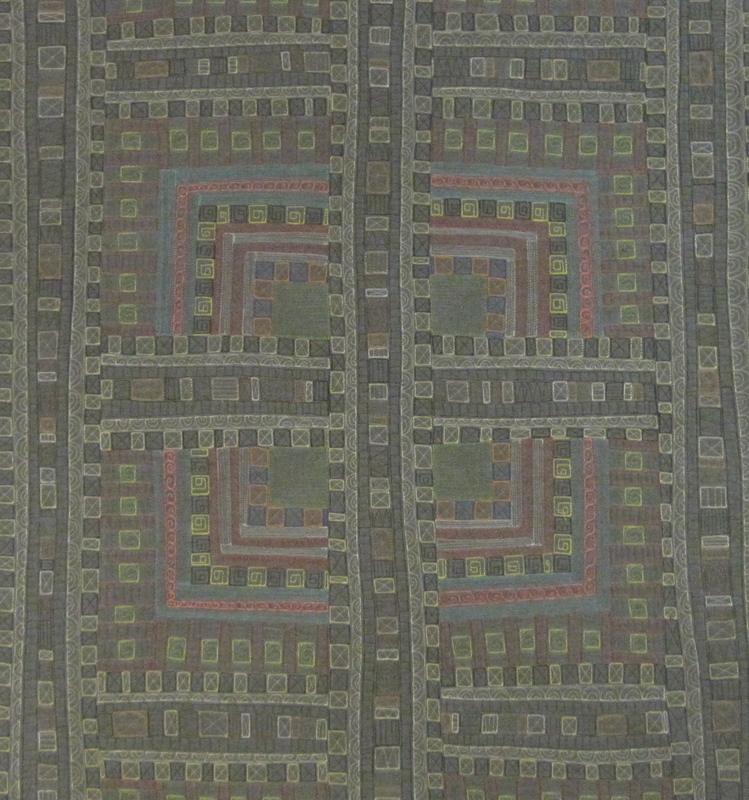 Each color has its own thread motif. 25 Apr	This entry was published on April 25, 2014 at 7:56 AM. 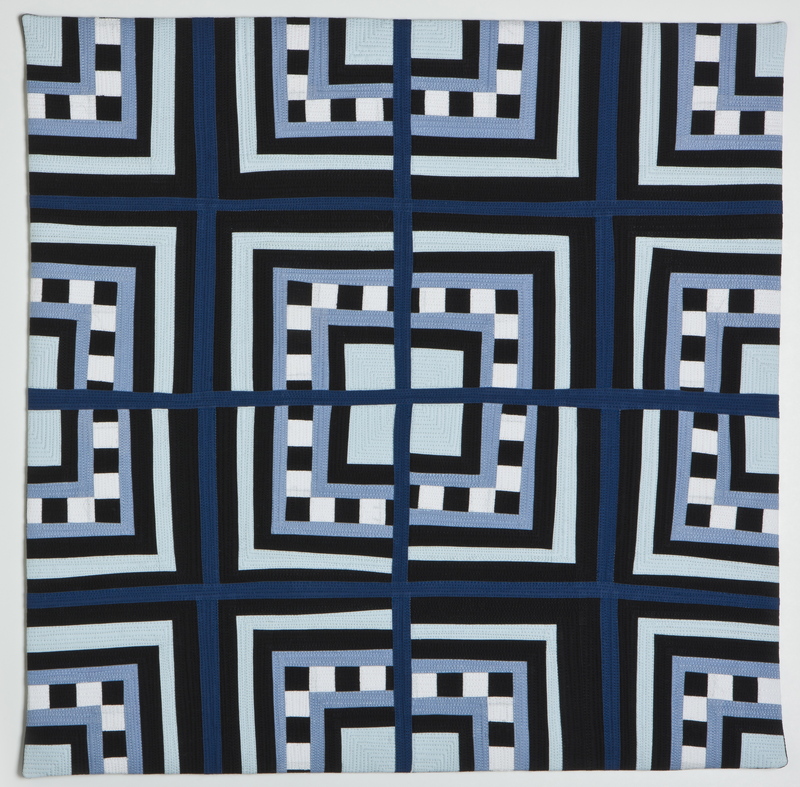 It’s filed under Quilt Stories and tagged Color Grids, TRIBE. Bookmark the permalink. Follow any comments here with the RSS feed for this post. 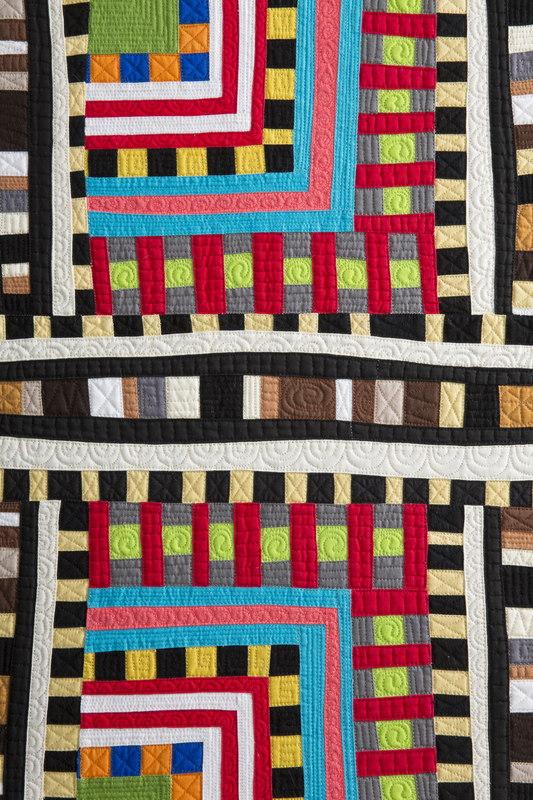 Stunning thread work and piecing! 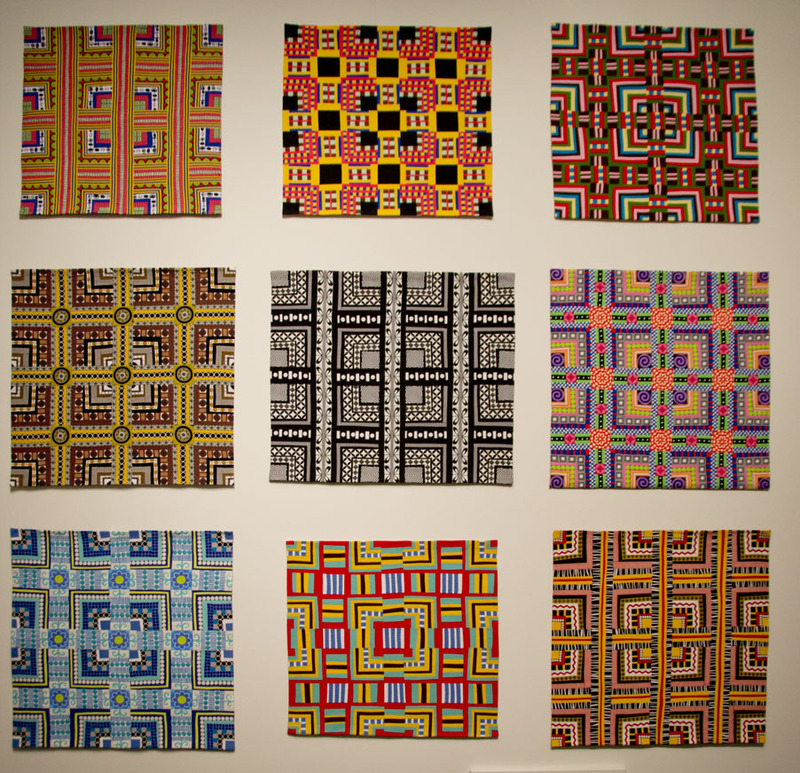 Your grid quilts are my favorites of all of your work that I have seen. Maybe my many years of accounting experience made me think in grids. 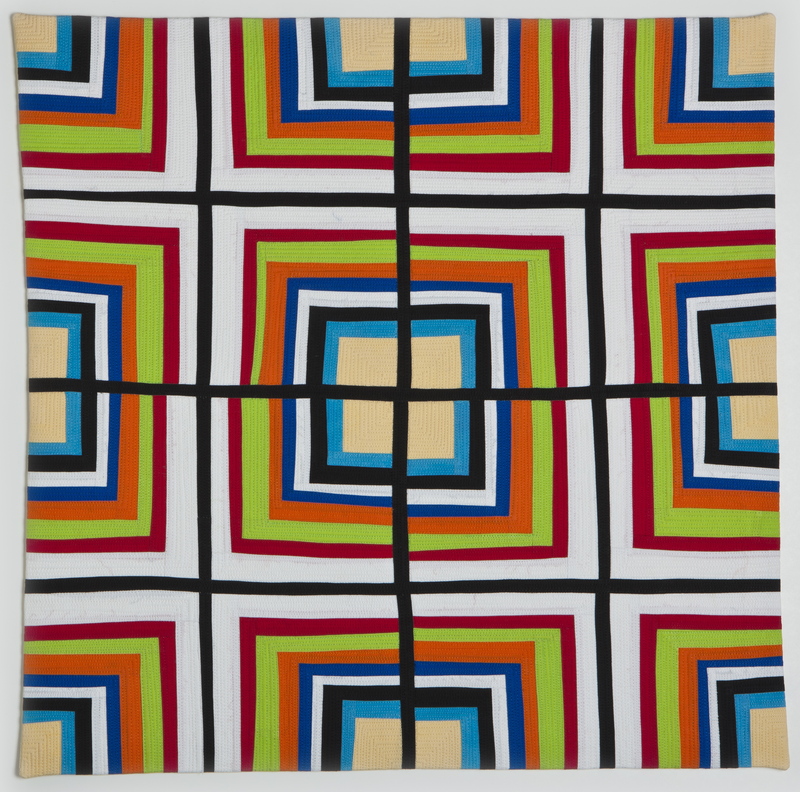 Have you ever wanted to hang just one quilt backwards in an show to show the thread motif? 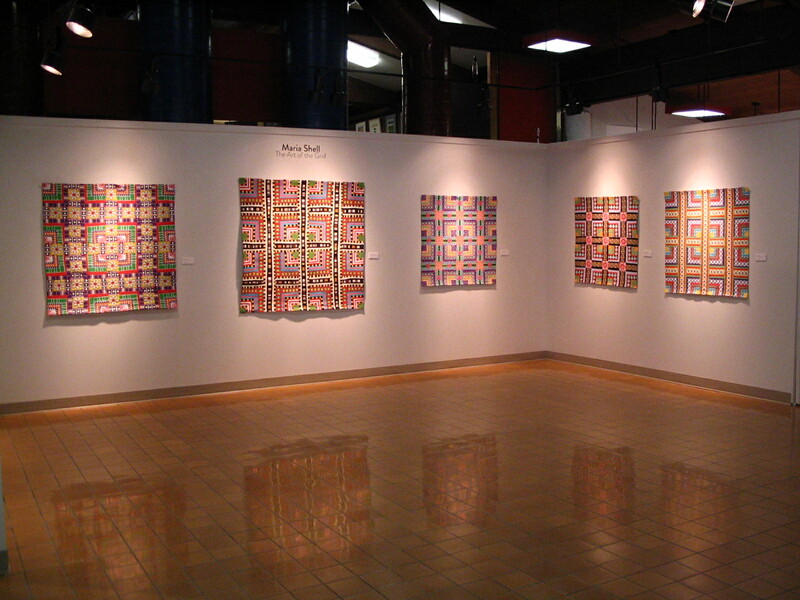 Susan- Every time I do a show, we have a discussion about hanging the work so the back sides show. I need to take that step. 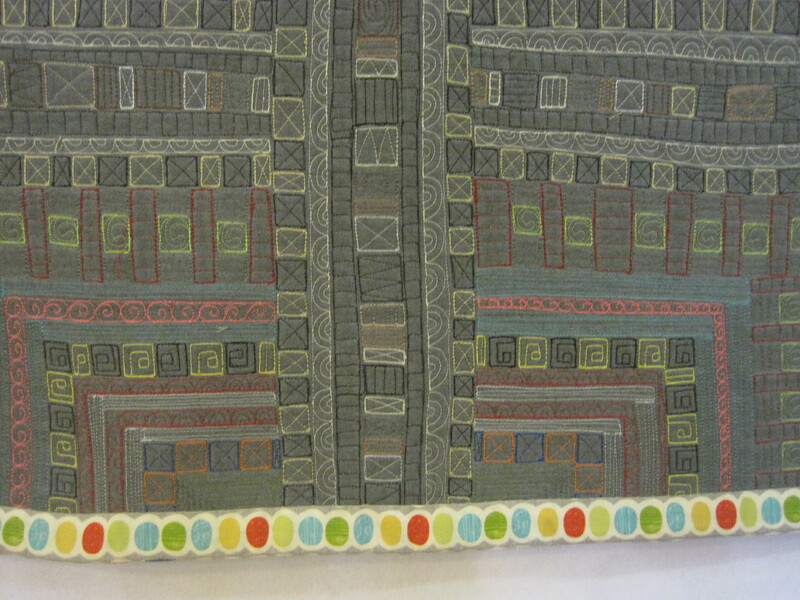 First, I need some new good photographs of the backs of my quilts, so that I can pitch that idea. You are right, and some day it will happen. Thank you! Thank you Nicole for stopping by. I’m glad to hear you like my work. Wow!! I love TRIBE! Beautiful and just so interesting to look at!!!! Thank you so much Sarah for your positive comments and stopping by.